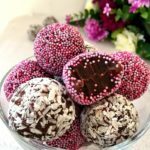 Traditional Brazilian Chocolate Brigadeiros Recipe, the no-bake bite-size sweets with only 4 ingredients. Call them truffles, fudge balls or just brigadeiros, they are sure to make you fall in love with them. 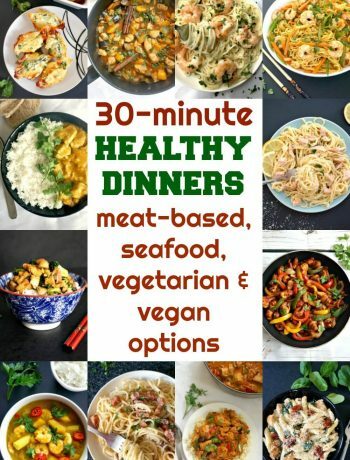 I’m happy to be talking apart in yet another awesome challenge set by the amazing Lin, the blogger behind Lin’s Recipes. I took part in a few challenges in past and loved every single one of them. 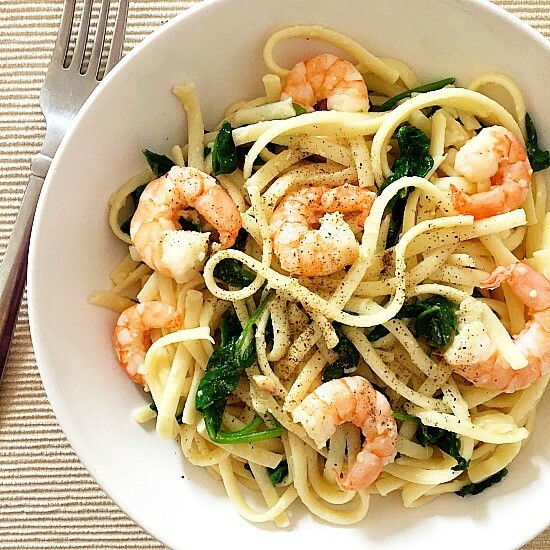 You get the chance to make something yummy that you wouldn’t probably otherwise make; plus you get to see what other talented bloggers cook too. Isn’t that great? I’m delighted to have picked Brazilian Brigadeiros, they are such a delicacy, it’s safe to say they didn’t last long, have a bite, and you end up eating all of them. Self-control is right out the window when it comes to brigadeiros. 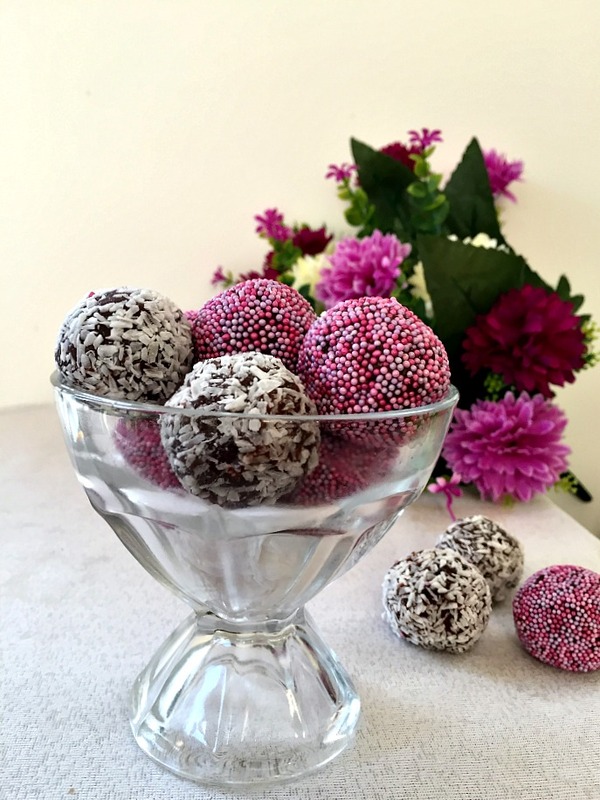 I have made before Coconut Truffles, they are also made with condensed milk; another great treat, but really wanted to try the classic Brazilian goodies everybody’s talking about. And with Valentine’s Day fast approaching, why not make a nice batch? No cooking/baking skills required, and you’ll have them ready in no time (and save yourself some £10 you would spend on a box of chocolates). You can decorated them with anything you like, from desiccated coconut to coloured sprinkles, cocoa powder or grated chocolate. Easy, right? Still looking for that perfect Valentine’s Day present or you would really like to surprise your loved one with a sweet treat? These brigadeiros are just perfect. Or, why not, just enjoy them all by yourself, you do deserve a treat from time to time. I could not have enough of them, exactly what I needed for my sweet tooth. Yes, they are not quite the healthiest treat, but a treat is a treat, it’s not quite meant to be healthy all the time, right? 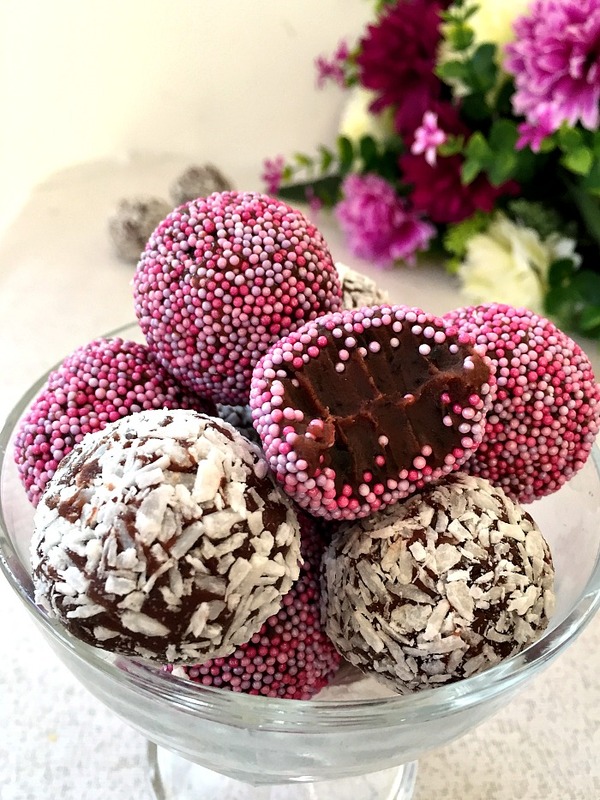 f you’ve liked my BRIGADEIROS RECIPE or any other recipe on the blog then don’t forget to rate the recipe and let me know how you got on in the comments below, I love hearing from you! You can also FOLLOW ME on FACEBOOK, and PINTEREST to see more delicious food and what I’m getting up to. 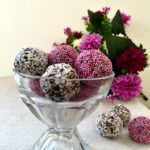 Traditional Brazilian Chocolate Brigadeiros Recipe, the bite-size sweets with only 4 ingredients. Call them truffles, fudge balls or just brigadeiros, they are sure to make you fall in love with them. Combine the condensed milk, cocoa powder (sifted) and butter and add them to a non-stick pan. Set the pan over a low heat and keep stirring with a silicone spatula until it thickens into a smooth cream, this could take between 10 and 15 minutes. Butter a large plate and transfer the cream to cool at room temperature. 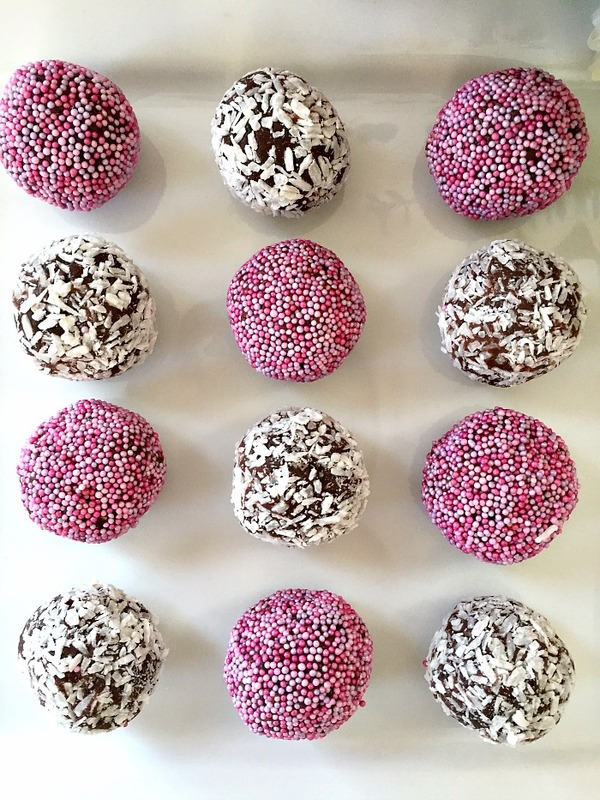 Once it is cool and firm enough to handle, shape out balls, then coat them with desiccated coconut and sprinkles. 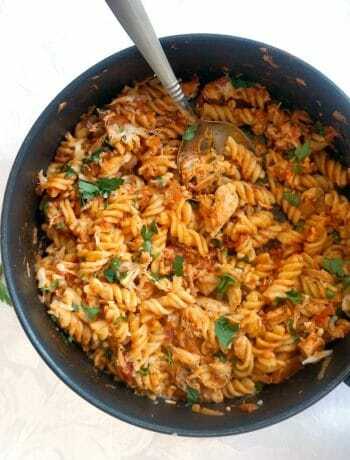 Chill in the fridge for a few hours before you serve. Love these. I lived in Rio when I was younger for a couple years and was addicted to these. Thank you for your comment, Andrea! They are indeed hard to resist, l love them too. They look so divine☺☺☺ Really appreciate your enthusiasm and the energy with which you participate in these challenges…This is a great contribution! Looks amazing! Thank you, Lina! It’s always a pleasure to take part in your challenges! ? Thank you very much for your kind comment, l am glad you like them ?